All of my fiction is free right now until June 10th on Smashwords. Download your digital copies now. If you like them, please consider leaving a review. My review: The whole series is great! “Light of Edion”, the first book, I read years ago. I don’t remember thinking it was so great, but I had just read Hancock’s “Arena” and it was a totally different genre (Sci-fi, which I loved). So I re-read the first one again, and just loved it. I borrowed the next two from the library and ended up purchasing the forth from Amazon, because I had to know the end! 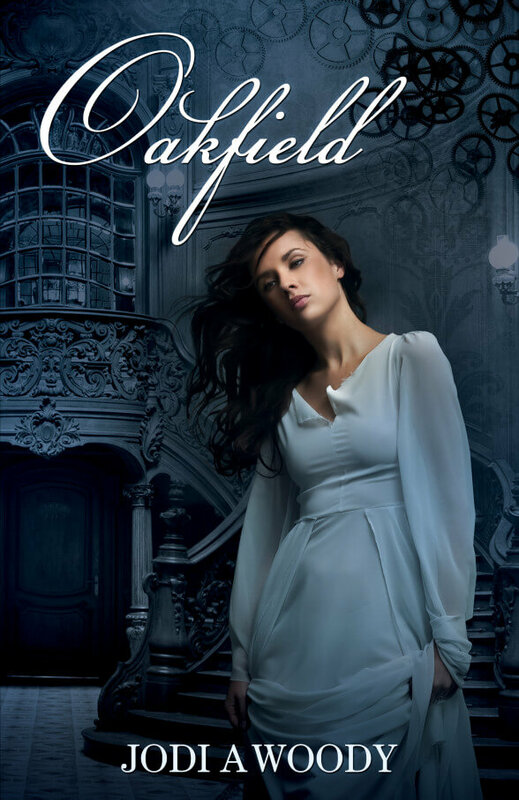 Great writing, and it goes to prove that an author isn’t stuck in one genre. 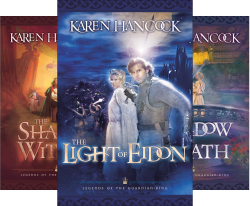 Hancock has written two Sci-fi (Arena and Enclave), both were great, and this epic fantasy of four books, Light of Edion, Shadow Within, Shadow Over Kiriath, and Return of the Guardian King. I hate to say good bye to the characters. However, like Lord of the Rings, or the Narnia series, I will probably be reading these again. My rating is 5/5 stars. There is no swearing, implied sexual content, between married couples, there is some violence. I can recommend for teens and up. What the book is about: In the spirit of fantasy epics like George R.R. Martin’s A Game of Thrones and Brandon Sanderson’s The Way of Kings, The Fatemarked Epic promises immaculate world building, an ancient prophecy, a mysterious source of magic, interesting characters, war, political intrigue, and romance. The Hundred Years War has ravaged more than three generations of kings, queens, and citizens across the Four Kingdoms. Corrupt rulers dominate. Religious intolerance runs rampant. The cycle of vengeance continues to turn with the seasons. An ancient prophecy by a legendary oracle has been long forgotten. The prophecy promises the return of peace to the Four Kingdoms on the backs of a chosen few, the fatemarked, individuals marked at birth and blessed with specific magical powers. One shall be the Kings’ Bane, and will bring death to the warmongering rulers, using fear to force peace; another shall be the Peacemaker, bestowed with the rare ability to heal. Opposite sides of the same coin, dark and light, death and life, the Kings’ Bane and the Peacemaker are responsible for the fate of an entire continent. As they fight to achieve their destinies, adversity will hinder them in every realm: in the frozen north, assassination attempts and a brutal power struggle; in the holy west, a vicious queen and her self-righteous army of warriors; in the mysterious iron-clad forest of the east, revenge and glory rule the day; and in the southern empires of Calyp and Phanes, maturing dragons, slaves, and a civil war. To truly fulfill the oracle’s prophecy of peace, both the Kings’ Bane and the Peacemaker, as well as the other fatemarked, will need to overcome those who seek to destroy everything in their pursuit for power. My Review: I am a huge David Estes fan so of course I joined his mailing list to hear about all of his new books. In one mailing he was giving away some ARC copies of his newest book. Most of his books, and my favorites are dystopian for YA. 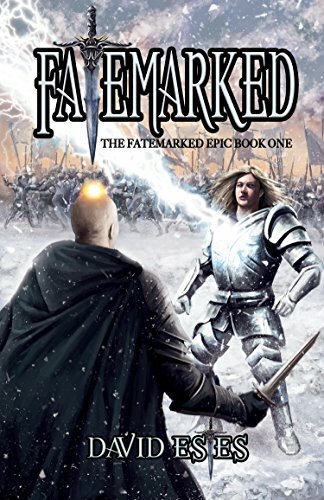 “Fatemarked” is the first in a series of epic fantasy. I entered the drawing and won a copy. I was a little nervous due to the different genre of this one. I so loved it! I do enjoy a good fantasy and this one does not disappoint. One of the things I like about Mr. Estes’ writing is he has a tongue in cheek type of humor. He understands people and relationships. So my rating is a strong five star. I can recommend for teens and up. Now I have to try and be patient for the next one. David Estes has written more than 20 science fiction and fantasy books. He has a love of dancing and singing (but only when no one is looking or listening), is a mad-skilled ping-pong player, an obsessive Goodreads group member, and prefers writing at the swimming pool to writing at a table. He loves chatting with his readers, all of whom he considers to be his friends. David lives in Hawaii with his beautiful Aussie wife, Adele, his asthmatic cat, Bailey, and his rambunctious son, Beau. I was given a copy of “The Land’s Whisper” in exchange for an honest review. This is a very well written fantasy. At first some of the language and names had me a little confused, however after a bit of reading I was able to work out what was meant. (in example measurements of miles and time were given fiction names). After finishing the kindle version I found the definitions in the back, so that might be a good place to start. The main characters are flawed and fleshed out. The story had me crying and laughing, and some places just plain cringing. There is no swearing or sexual content. There is torture and violence. It is after all a story of good versus evil. I give it five stars and can’t wait until the next book is out. Though it is part of a series, it has a clear ending. I give it five stars. I loved it. Ok, so I know I said book three was my favorite, but… this one is even better. The only bone I have to pick is that it isn’t the last book! The next one is supposed to come out sometime early 2016. Wonderful allegory that retells the story of God’s love and forgiveness through his son. Though the words “God” and “Jesus” aren’t used. Good writing, great fantasy with all the quirky characters including some beasts and creatures, and well rounded characters. No sexual content or swearing. There is romance and there is violence. Epic story of good versus evil. I give it five stars, loved it, and can recommend for ages teens and up (and any fantasy love, you do not have to be a Christian to enjoy this book!) While I am waiting for book five, I see the author has written a few “stories” about the White Road, so…. Book three in the “White Road Chronicles”, “Emanate” is my favorite so far. I loved it. Great Christian fantasy, an allegory actually. Good storyline, characters are well rounded, several types of creatures and “beasts” are found in this story of the battle between good and evil and how even the seemingly most messed up person can make a difference. I give it five stars. No swearing or sexual content. The main character is a teenager, but most others are adults. There is violence and fighting, t Book three in the “White Road Chronicles”, “Emanate” is my favorite so far. I loved it. Great Christian fantasy, an allegory actually. Good storyline, characters are well rounded, several types of creatures and “beasts” are found in this story of the battle between good and evil and how even the seemingly most messed up person can make a difference. I give it five stars. No swearing or sexual content. The main character is a teenager, but most others are adults. There is violence and fighting, though nothing really graphic. I can recommend for teens and up. Though it has a Christian message and a story that follows the spirit of Christianity, it never mentions the familiar terms we use for God or Jesus. I think non-Christian fantasy readers would also love the book, just not see the true story. Book two in this series, “Luminosity” continues Aly’s story. Many great well rounded characters, including humans and creatures. Great Christian allegory about finding the strength to do what must be done for good to triumph over evil. Good writing. I am loving the series. No sexual content or swearing, there is violence. I can recommend for teens and up. Christian fantasy at it’s best. I give it five stars.